Book lovers from all over the North East descended upon Copley Square yesterday to partake in the Boston Book Festival. Not even the chilly wind and threatening rain clouds could keep the fans from lining up outside the various panel locations to listen to their favorite authors speak. I was one of these people, giddy with the prospect of listening to famous authors speak, and better yet, getting my books signed by them (I have my priorities sorted, I know). The most interesting panel I attended yesterday was “Frontiers of Science,” with Siddhartha Mukherjee, Lisa Randall, and Stephen Greenblatt, with WBUR’s Christopher Lydon as the moderator. Each of the panelists began the session with a brief introduction of their latest book. Greenblatt began with his book, The Swerve, and spoke about the connections between the humanities and the sciences. 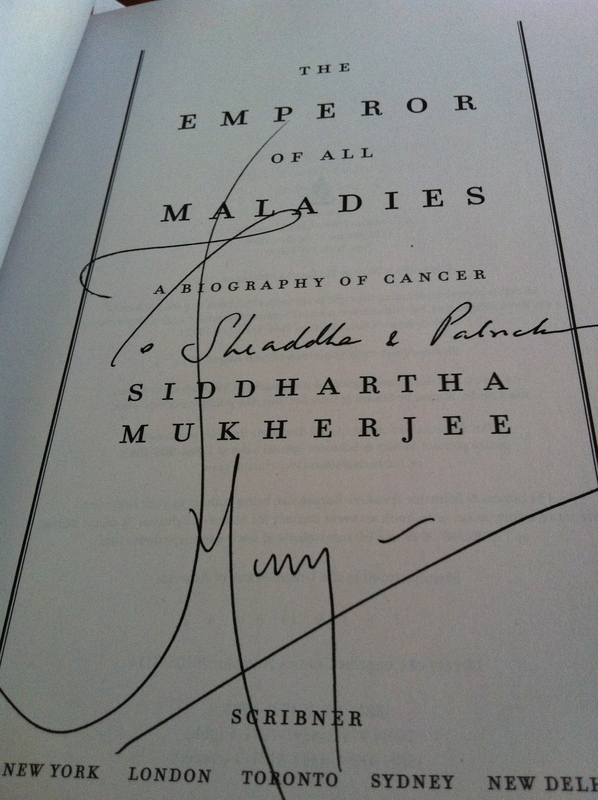 Randall spoke about her book, Knocking on Heaven’s Door, and Mukherjee, clearly the most popular of the three, spoke about his book, The Emperor of All Maladies. What was most interesting to me, as a patron of both the humanities and the sciences, was the ease with which these three writers, (with some help from Lydon, of course) were able to see their own work in each others’ novels. 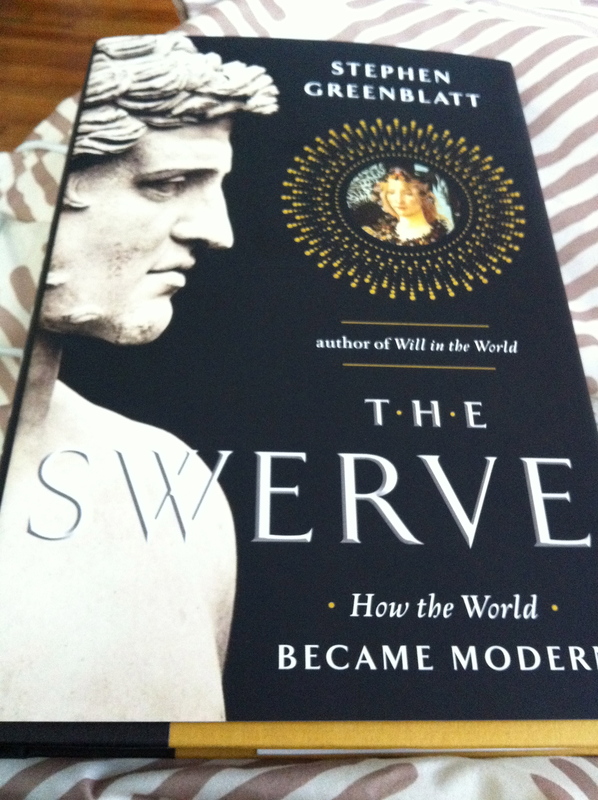 Greenblatt’s The Swerve tells the story, among other things, of the ancient poet Lucretius’ idea of the world being made up of tiny particles that collide with each other in a “swerve-like” motion. As a professor of English at Harvard, he likely does not work with scientific subjects on a regular basis, and yet Lisa Randall, a professor of theoretical physics at Harvard, was able to pick up from Greenblatt’s description of these “tiny particles” and apply it to work being done with the Large Hadron Collider in Switzerland. 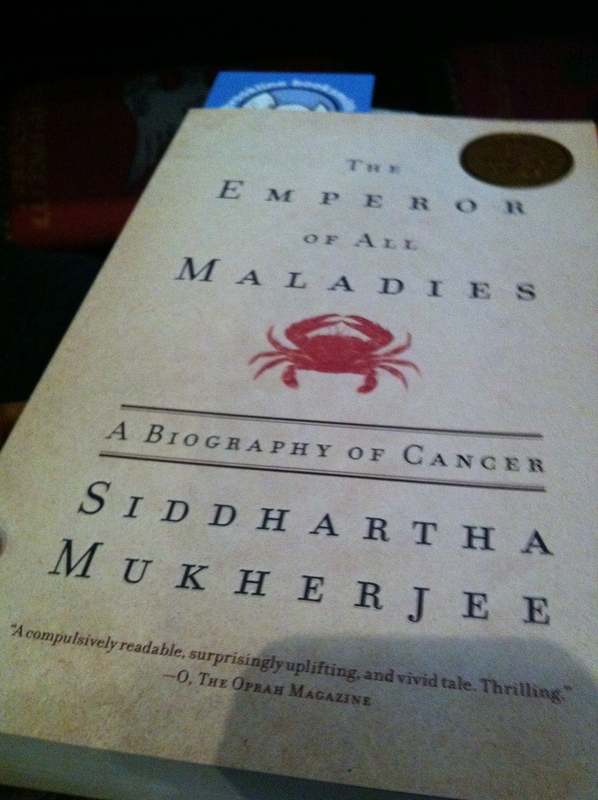 Similarly, Mukherjee, a cancer physician and professor at Columbia, identified the importance of fundamental particles in any system and described the role of genes in cancer development. In the end, each of the writers emphasized the idea of continuity. Lucretius was working in the century before the Common Era, and yet his idea didn’t have any merit until 20th century experiments with nuclear and quantum physics proved his conjectures to be true. And just like atoms were found not to be the smallest part of matter, so too were cells proven not to be the smallest part of an organism. The discovery of genes and DNA revolutionized the field of medicine, especially of cancer. And it is with the faith that science will eventually prove or disprove conjectures that Randall and Mukherjee take comfort in their (often bleak) work. Greenblatt, on the other hand, seemed like he was just happy to tell the audience a story that was still relevant today.